The third volume of The History of Evil encompasses the early modern era from 1450–1700. This revolutionary period exhibited immense change in both secular knowledge and sacred understanding. It saw the fall of Constantinople and the rise of religious violence, the burning of witches and the drowning of Anabaptists, the ill treatment of indigenous peoples from Africa to the Americas, the reframing of formal authorities in religion, philosophy, and science, and it produced profound reflection on good and evil in the genius of Shakespeare, Milton, Bacon, Teresa of Avila, and the Cambridge Platonists. 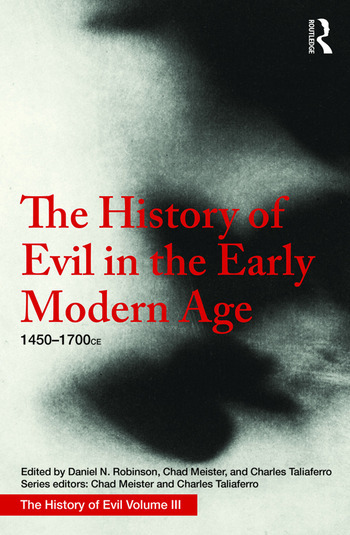 This superb treatment of the history of evil during a formative period of the early modern era will appeal to those with interests in philosophy, theology, social and political history, and the history of ideas. Daniel Robinson is Distinguished Professor Emeritus of Philosophy at Georgetown University, USA and a Fellow of the Faculty of Philosophy, Oxford University, UK.